TechnoAlpin and Georgia’s national ski resort development company recently signed a contract worth €2.4 million that will see TechnoAlpin install over 80 snow guns and expand several pumping stations at the ski resort of Gudauri in the Greater Caucasus. The Prime Minister of Georgia, Giorgi Kvirikashvili, as well as a delegation from the Georgian government, visited South Tyrol in the spring of 2017 at the invitation of the Bolzano-based manufacturer of snowmaking systems. In addition to TechnoAlpin’s headquarters, the delegation also visited the ski resort of Kronplatz. 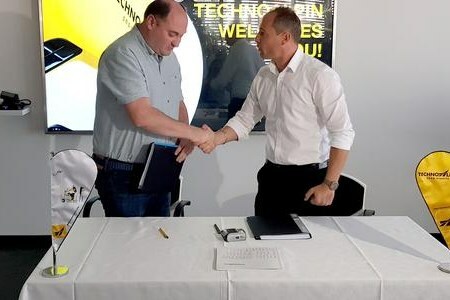 The success of the visit led to the contract being concluded and on August 17 2018, Aleksandre Onoprishvili, Director of the Mountain Resorts Development Company, signed the contract with TechnoAlpin – the first in Georgia for the company. The construction phase for the project is due to begin immediately, and Gudauri scheduled to open for business in November this year after its redevelopment.